Your identity—you’ve spent a lifetime building your financial credit and professional reputation, but identity thieves can take that away in an instant. Elderly relatives—Scammers often target the elderly–especially around the holidays. In 2017, 35% of frauds were reported by victims over the age of 60. Children—Kids are frequent victims of identity theft. According to Javelin, about 1.5% of all U.S. children had identities stolen in 2017. Don’t leave thieves any opportunity to unwrap your identity this holiday season. Take these sensible precautions to protect yourself and your loved ones. 1. Keep track of cards and wallet. Don’t lose sight of your wallet, purse or phone in the hustle and bustle of shopping. In stores, it is easy to forget your credit or debit card after check out. After every transaction, return your card to the same place in your wallet. 2. Guard your PIN. If you pay with a debit card in the store, block the keypad with your body while you enter your PIN. 3. Watch what you say. In stores, you may be asked for personal information such as your phone number, address or birthday as you check out. Speak quietly to the clerk. Too-good-to-be-true could be a trap. Don’t fall victim to rock-bottom prices from unknown internet retailers—these could be fake stores run by fraudsters. 5. Don’t make purchases over public Wi-Fi. If you shop using your mobile phone in public, stay on your carrier’s cellular network. Free public Wi-Fi can be much less secure. Give, but verify. You will probably receive more phone, mail and email solicitations from charities near the holidays. Use caution with unfamiliar charities. Do your research first. Avoid phishing attacks. Government, banks, and credit card providers will NOT ask for personal information via an email or by calling you. If in doubt, hit delete or hang up. Go to the organization’s website or call using a phone number you looked up yourself. Customize your social media privacy settings. Take advantage of your options in social media privacy settings. Are you sharing information with friends only or the public? Coordinate with family. If your kids or Aunt Edna share family photos with you tagged in exotic locales, they may show up on your social feeds. Don’t leave packages or mail unattended. An overflowing mailbox or packages on the front stoop are sure signs your family is out of town. CyberScout is leading the charge against hackers and thieves, providing identity management, credit monitoring, and cyber security for more than 17.5 million households and 770,000 businesses. 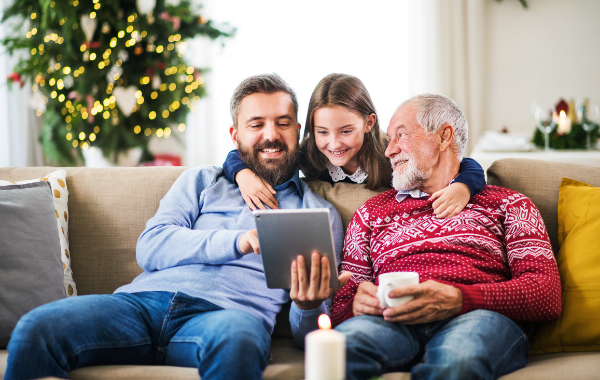 Central Insurance and CyberScout have joined forces and are ready to protect you and your family from cyber threats this holiday season. Contact your independent agent for more information. CNBC, “Identity theft isn’t just an adult problem. Kids are victims, too,” April 24, 2018.